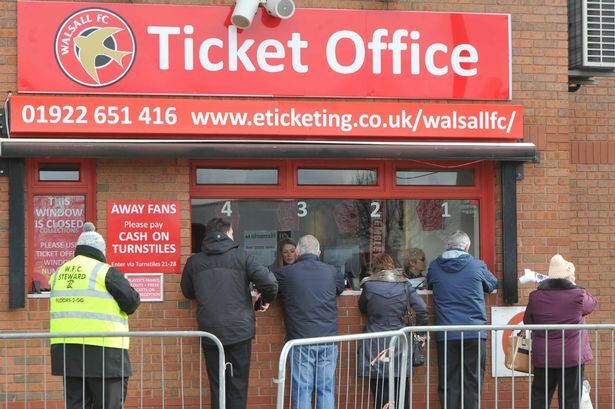 Following recent issues surrounding the sale of 'Family Tickets' for matches at Banks's Stadium, Walsall FC have sought to clarify the situation by releasing a statement via their official website. The statement, which can be found by clicking HERE, states; A family ticket here at the Banks’s Stadium comprises of one ticket for a parent/ guardian and one ticket for a child. Family tickets are only available in the St Francis Group Community Stand and the HomeServe stand, middle and upper tiers and can be purchased in person at the Ticket Office or online. To book online, select the first seat you wish to purchase and choose the ‘Adult Family’ option. Then select your second seat and choose ‘Junior Family’ to make it a family ticket. Those who purchase a family ticket can also add one extra junior by selecting the ‘Extra Junior’ option when adding a third seat. Please note the family ticket isn’t open to sibling or friendships groups and tickets for these supporters should be purchased at the appropriate age-related cost. We apologise for any confusion that this may have caused.